Paul comes to Corpus Christi College & St. Mark's College after many years of teaching interdisciplinary courses in Arts One and in Religious Studies at UBC and then at Quest University. For fifteen years he was also responsible for teaching World Religions and the History of Christian Thought at UBC. For these courses, in particular, he won the University Teaching Prize. Paul studied Greek and Latin language, literature, philosophy and history at the University of Toronto before doing a program in Catholic Theology at the University of St. Michael's College. For his work in Ecumenism with theological students across Canada, the World Council of Churches arranged for him to do advanced studies in the history of Christian Thought at Oxford. At Corpus Christi College Paul is "Director of the Liberal Arts" which means that he is responsible for developing and integrating the whole curriculum around a contemporary version of the Liberal Arts grounded in the Catholic intellectual tradition. He enjoys working with colleagues at Corpus Christi to incorporate some of the innovations in curriculum design and in teaching styles which he had learned in his previous experiences at UBC and at Quest University. He designed and continues to teach the course “Explorations in Catholicism” He also teaches "World Religions". He has also taught a graduate course on Church History for St. Mark’s College and a graduate seminar on Augustine for UBC. 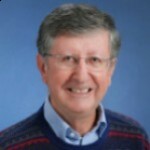 Although he has officially retired from UBC, he continues to teach a course either in Religion and Literature or in Religious Studies for the university. Paul continues to research and to publish on major Christian Thinkers in the fourth century. He is particularly interested in the ways Hilary of Poitiers and Augustine of Hippo evangelized Christian and non-Christian members of the educated class of their respective generations. Integrating Catholic faith and public culture was also a challenge for Thomas Aquinas, as noted in the quotation above, and this task continues to be an important challenge for the Church of our own generation. Burns, P.C., editor, Jesus in Twentieth-Century, Art and the Movies (New York: Continuum 2007). Burns, P.c., "Role of Rheotrical exempla in Augustine's City of God," Studia Patristica 38 (2001) 31-40.